First of all, I would like to say "thank you" to you all who supported me this year. 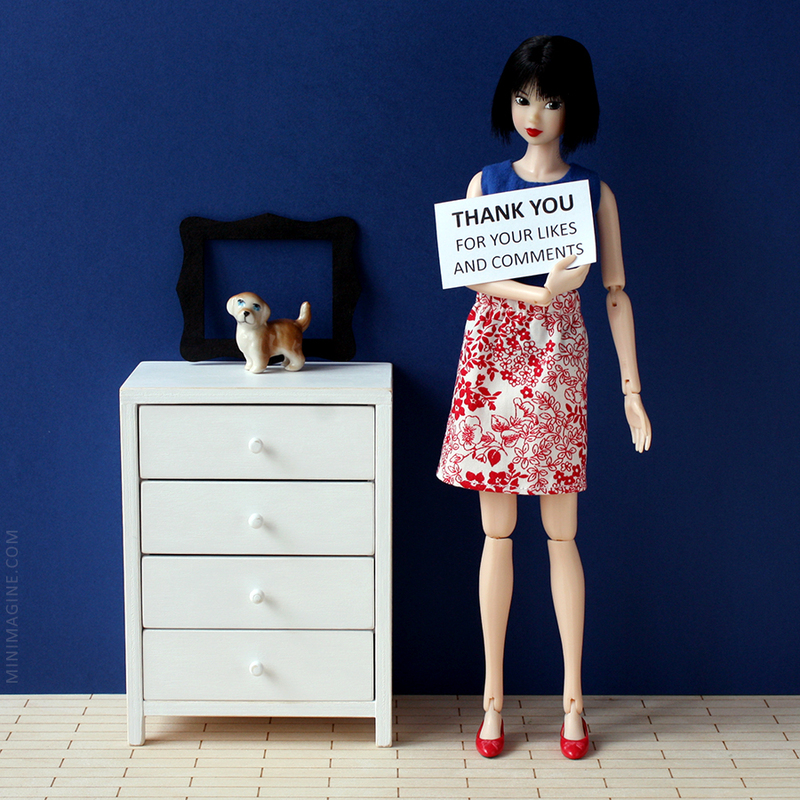 2016 was for Minimagine a year of Instagram and "Made to Move" dolls. Some nice Momoko dolls arrived too. I also dared to swap Barbie heads for the first time. Why year of Instagram? I created an account half-hearted at the beginning of the year. I did't expect that there are so many doll fans. Minimagine has over 3,1k followers at present (thank you!). I like Instagram very much - it is so simple and... full of kittens. Nine of my most popular photos you can see above. In 2016, finally, my Facebook fanpage became alive. I started it in 2012 but I didn't care about it very much. There is still a lot to improve but I think that it goes in the right direction now. When it comes to other social media, I decided that Twitter and Pinterest rather won't be updated. I still upload photos to Flickr though. My favourite doll of the passing year is Zoe from the picture above ("Purple Top" from Mattel "Made To Move" series). I love her articulated body. You all are invited to join my Facebook group for dolls on these bodies. What surprised me in 2016? I discovered that Atomaru DoranDoran dolls are so tiny (about 21cm). What else happened this year? I started my dolls' review this year. There will be a list of them all soon. You can see my doll collection in this series for now. Another series was about playscale shoes, if you don't know these articles so far, here is the link. In summary, it was a good year for Minimagine. Once again, thank you so much for visiting, comments, likes and shares! How do you recall your 2016? You had a great year, hope 2017 is even better!! Thank you so much! I wish you a great New Year too! It sounds like 2016 was a busy year for your dolls. I've enjoyed seeing the dolls you own, especially your Momoko series which got me to jump right into that doll collecting pool! Looking forward to what's in store for 2017 from you and your lovely collection. Yes, it was quite busy year. I'm very glad that you are in Momoko collecting pool. Have a wonderful 2017, you, and your dolls of course ! Thank you so much! Happy 2017 to you too!